Virginia State Bar - News - Cheers to 80 Years! The VSB will host its 80th Annual Meeting in Virginia Beach beginning Thursday, June 14 through Saturday, June 16. This year’s Annual Meeting features twelve unique CLEs on topics ranging from First Amendment rights to cybersecurity, as well as the inaugural “Lawyer Feud” CLE, where distinguished jurists from across the state will participate in a game-show style CLE on Saturday morning. On Friday evening, Leonard C. Heath Jr. of Newport News will be sworn in as its 80th president of the Virginia State Bar. This meeting will truly be a celebration of the Virginia State Bar, and we hope to see you there! 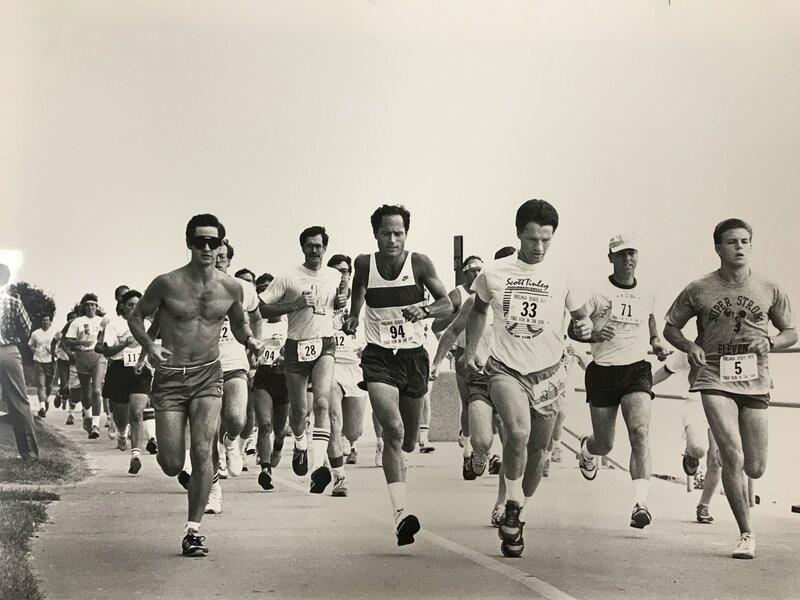 Photo: The Run in the Sun 5k at the 1988 Annual Meeting.